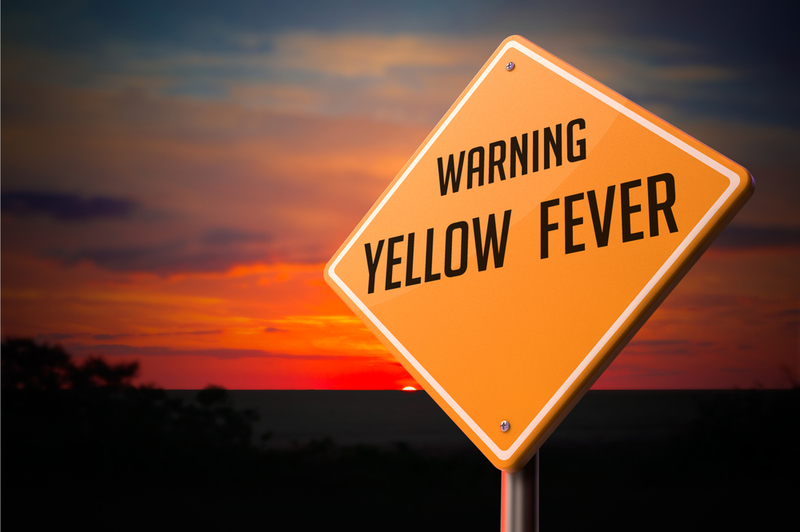 Yellow fever is caused by a virus that is spread y certain species of mosquitos, and is found throughout sub-Saharan Africa, parts of the Caribbean and South America. Yellow fever cannot be passed between humans, it can only be caught by being bitten by an infected mosquito, so it is vital when visiting countries where Yellow Fever is found that appropriate precautions are taken – particularly having a vaccination. However, even when vaccinated it is a good idea to sleep under a mosquito net, wear clothes that cover as much of your body as possible, and apply insect repellent containing 50 per cent DEET to exposed skin. If you are bitten by an infected mosquito, the initial symptoms will appear after around four or five days. These include a fever, headache, nausea and aching muscles. Generally, the body will fight the infection and after a few days these symptoms will pass and the patient will make a full recovery. However, about 15 per cent of people suffer more serious problems and develop jaundice. As many as 50 per cent of these people will die from the disease so it is vital that if you develop symptoms of yellow fever, and have visited a country where the virus is prevalent, that you seek medical advice.